We are in San Fulgencio, in Valencia, Alicante on the Mediterranean coast road. Drinking water, gray water drain, sewer drain, Wi-Fi (Included in daily rate), washing machines (coin), dishwashing area, showers (hot water 24 hours), picnic area (under construction ). We are in San Fulgencio, in Valencia, Alicante on the Mediterranean coast, with high average of sunny days, minimal rainfall, weather is always nice. In winter, no snow or frost. Address: Bay of Biscay 7 – CC Las Dunas. 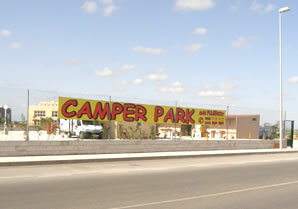 From the north, Highway 332, from La Marina, the next roundabout turn right at the Centro Comercial Las Dunas. If accessed from the south on the N-332, from Guardamar del Segura at the second roundabout turn left 38 sites wide. 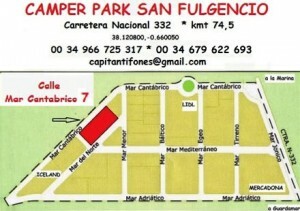 Map to camping van site at San Fulgencio just off the N 332 Situated between La Marana and Guardamar del Segura. In Valencia, Alicante on the Mediterranean coast with high average of sunny days , low rainfall, weather is always nice . Directions: From the north , Highway 332, km. 74.5 from the Marina, the next roundabout turn right at the Centro Comercial Las Dunas. Within the service sector, we took special care in the toilets. Designed with quality and quantity appropriate to the final dimension of the area, considering the immediate availability at the request of our guests making them feel too good without limitations of space and comfort. The showers are large and double compartment power before and after the bath have a place to dry and dress. Four independent systems ensure that hot water will always be available. 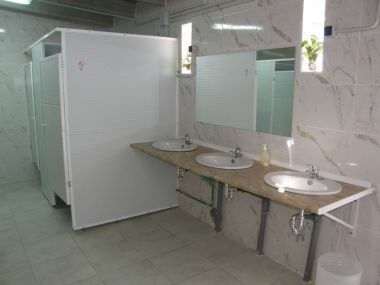 Each set of toilets has four showers and four more individual toillets a sector of sinks and mirrors. There is one for ladies and one for gentlemen. The lighting system has been equipped with an automatic ignition to avoid direct drive switches, safety first, the outlets are at a height unattainable by children. All bathrooms are covered with glazed ceramic wall and floor and have a permanent exterior nighttime lighting at the entrance plus a windproof panel visually privatizing the gateway to the inside for better privacy. On Saturday October 15 at the good prospects of good weather that is always present in our area, we did a barbecue for friends who were in the area. 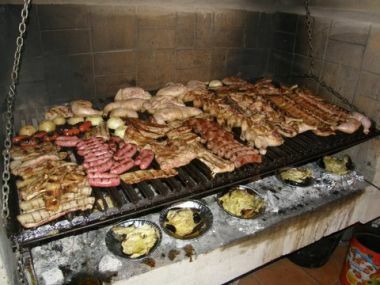 Chicken thigh, leg, secret and marinated pork ribs, sausages and sausages accompanied by Creole eggplant, tomatoes and grilled onions which had to be cooked on the grill small visitors use individual barbecue by volcanic rocks that their disposal. The barbecue was accompanied by different contributions of the diners with classic things of their countries, so there were several languages in addition to international cuisine. We have an area of 4500 m2, fully enclosed to 2.60 meters high and security lighting at night, all the streets are paved perimeter, the floor is covered with white gravel for convenient traffic and a very comfortable situation to possible rain. The distance to the beach is 1500 meters., On a back road with no traffic with a pine forest on one side and the River Segura on the other. There are several paths suitable for bicycles. The proximity to the town of Guardamar del Segura south is 4 kmts. To the people of the Navy the distance is 3.7 kmts. On the Oasis Urbanization kmts 3.3. Costa Azul maintains bus service to La Marina, Santa Pola and Alicante to the north and Guardamar del Segura and Torrevieja to the south. The bus stop is opposite the Lidl 100 meters of area. Also on Saturdays there is a market (street market) to 100 mts. our area with vegetables and fresh fruit. Our area has plots of 4.5 x 9 meters. and other of 5 x 10 m., treeless for perfect comfort and maneuverability and fully enjoy the sun of Spain at all possible times. The plots have 5 (1100 W) and 7.5 (1650 W) amperes. Our water is potable and is distributed throughout the area, this condition is checked regularly by the company providing the service. 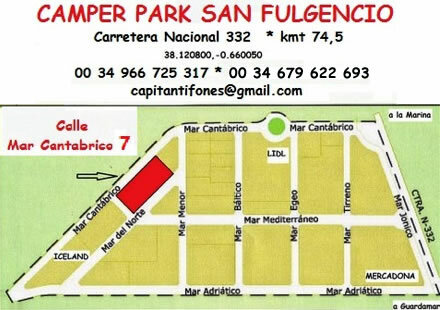 The City of San Fulgencio has a 24 hour service. emergency medical care by ambulance, several hospitals in the vicinity, including the USP SAN JAIME high complexity. Our bathrooms have showers with individual sector spacious dressing and toilet (wc) are spacious, have a shower schedule that runs from 8 am until 22 pm Everything is built in brickwork walls floors and glazed ceramic. The area has three coin washing machines for your convenience plus a dryer optional, but behind the toilets with four long lines to hang clothes. Costs found in our rates. There is a section to download one for gray water and sewage. We supply bottled gas for our customers and collaborate with the resolution of disputes by the various regulators in other countries. Our area has a liability insurance and accident MAPFRE signed with Cia. We installed a 24 hour WI FI. included in the daily rate. 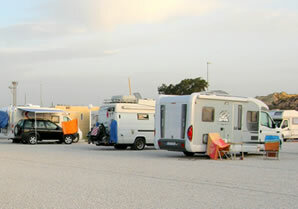 We have obtained three licenses necessary for the safety of your stay, Environmental License, Business License and License of the Ministry of Tourism of Valencia within the category Camping 2nd grade. There are telephone line available and mailing address and receiving E-mail customer service. The client will have to its request for a small door key for your convenience if you wish to return after hours. There is provision of fresh bread and pastries in the morning.